Looking to get the best restaurant apparel for your business but unsure where to start? We have the basics covered for you! From line cooks to hostesses, there’s a restaurant uniform that fits your style. The regular catalog can get quite overwhelming, with so many different uniforms to choose from. 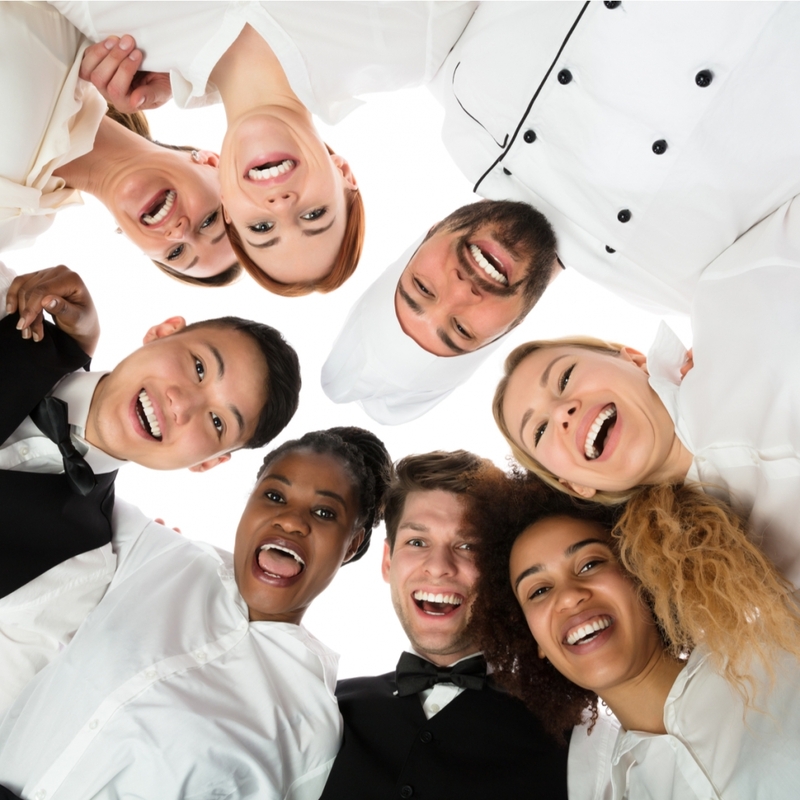 To start with, there are two major classifications of restaurant apparel: those for front-of-the-house use – for your hosts/hostesses and servers, and the back-of-the-house uniforms which are used by those working in the kitchens – from the chef to the line cooks. Restaurant apparel designed for the kitchen is made more for function and follows traditional form. The key to making the best purchases for your kitchen crew is going for the quality of the fabric, making sure that these garments are not only durable but are comfortable to wear even in the midst of the heat and the physical demands of a commercial kitchen. Chef Coats. There are a variety of chef coat designs available, usually to denote rank (i.e. executive chef coats, vented coats, universal coats) or specialty (i.e. sushi chef coats). Cook Shirts. They are available in white or other colors, most common of all is a black combination shirt design. They can be long- or short-sleeved and are designed for ease in movement and wearer protection. Pants. Kitchen pants include standard chef pants which are not unlike standard trousers, and a variety of other functional pants mostly for the line cooks. These can include baggy pants which allow for ease in leg movement, regular work pants, and cargo pants with multifunctional pockets. Headwear. The most popular options for headwear include a variety of toque (chef hat) designs that come in different styles, colors, and heights. There are also beret-style caps that are a more modern take on the chef hat but work just as effectively. Neckwear. The cravat is an important piece of the kitchen professional’s uniform not merely because it is in keeping up with traditions but for its functional value. They keep the wearer’s perspiration away from the food and also keep their body temperature balanced even when they go in and out of the restaurant’s freezer. Front-of-the-house uniforms require both aesthetic appeal and functionality, thereby requiring the fabrics to be able to hold their form and stay comfortable even through long work shifts. This is also where restaurant owners can be as creative as they can with the design. Server Vests. Vests are practical and fitting for more formal restaurant setups as they can easily transform basic shirts and tops into more elegant pieces. They can come in a variety of colors and, more importantly, can easily be customized with the addition of logos and embroidery work. Universal Shirts. The most common options for universal shirts include formal button-downs for dining settings, and polo shirts and round-neck shirts for more casual settings. Pants. Pants, like front-of-the-house restaurant shirts, come in a variety of designs – from formal trousers to denim pants and even shorts especially for casual restaurants and fast food outlets. There are many things to worry about when it comes to getting your restaurant apparel. These include fabric quality, overall make and design, as well as customization and branding options. Proper maintenance also plays a key role in the success of your restaurant apparel considerations. 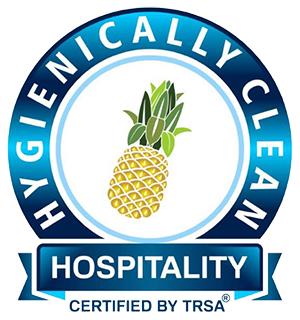 To get everything perfect and hassle-free, entrust your restaurant apparel needs to the hands of a service provider that has the experience, the expertise, and the technology to carry out even the most delicate of your linen care and maintenance. Get the help of Braun Linen Service! We have a wide array of uniforms available for every part of your operations. 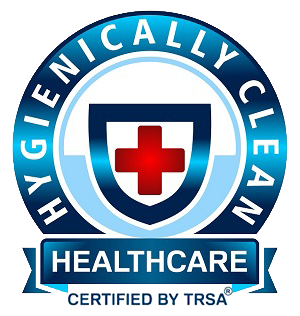 Contact us today at (800) 272-8657 or send us a message here and let us know what you need – our experts will walk you through your options!